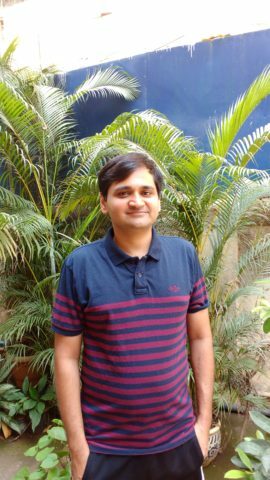 Ghumakkar Interview - with Mauktik Kulkarni - Ghumakkar - Inspiring travel experiences. A person with many virtues is hard to find. A person with two Masters Degree from distinguished American Universities, a great paying job in hand and the courage to take a year long break to go solo backpacking is harder to find! Our quest for such an individual came to an end when we met Mauktik! If I have to introduce him, in a nutshell, Mauktik is a well qualified Techie in the Backpacker World. Having spent about half his life in India and another half in the US, he has many engrossing anecdotes to share. As on today, he is the Author of two books, the Executive Producer and Co-anchor of a documentary film on backpacking. Without much ado, here is how we caught up with Mauktik. Ghumakkar: Your life, as a journey, has many pit-stops. Let’s take it one at a time.. Tell us about your early years – birth, schooling and college..
Mauktik: Yeah, an ongoing journey if I may say! It is a pleasure to share it with you! I was born in the United States but I grew up in a sleepy town called Jalgaon in Maharashtra. I went to a Marathi school till 10th and moved to Pune after that for 11th, 12th and Engineering. After completing my degree in Electronics and Telecom engineering, I moved back to the United States and got two Masters degrees; One in Biophysics from the Univ. of Illinois at Urbana-Champaign and one in Neursocience from the Johns Hopkins University. Ghumakkar: So, did you just join work after the Masters? Am sure many big companies would have offered you a job! Mauktik: Interestingly, no! When I finished my second Masters, I did my first Solo trip, a six-week, 8000km bike ride through South America. After that, I worked in a Neurotech start-up in Louisville, KY for four years, wearing several different hats in the development of a diagnostic device for Alzheimer’s disease. Ghumakkar: A well deserved break after slogging over the Masters, great! Mauktik: Thank you, I think most of us want such breaks often, isnt it? Ghumakkar: Definitely! What was the next thing planned? Mauktik: Nothing clearly planned. But, during those four years, I somehow wrote a book on my solo trip titled ‘A Ghost of Che.’ I then did my second solo trip. I quit my job and was planning to move back to India. Before moving back, I decided to travel around the world for a year! Ghumakkar: I like the twists and turns in the journey..A plan to go around the world for a year? Go on.. I am all ears to know more about it..
Mauktik: Haha.. Then,I managed to travel to 36 countries and cover all the continents (except Antarctica).Then, in 2013, I moved back to India. Since then, I have split my time between Mumbai and Bangalore. Ghumakkar: Good to have you back in India. What has kept you busy now? Mauktik: Thank you! 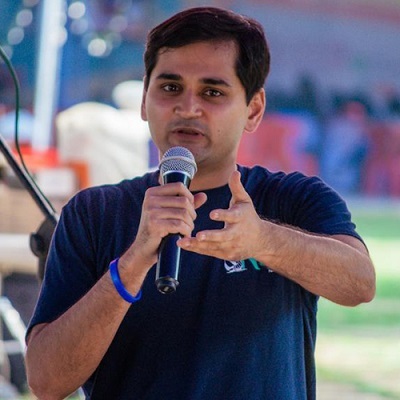 In these last four years, I have worked with two start-ups, worked with Brahmanand Singh – a national award winning director – to make a backpacking documentary, and started laying down the groundwork for the feature film adaptation of my book, which is still going on. In these last four years, with the help of Editor Devasmita, I have finally managed to complete my second book ‘Packing Up Without Looking Back,’ which is about my round-the-world trip to 36 countries. I know it sounds crazy, but it has been a fun journey so far. Ghumakkar: Fun is an understatement, Mauktik! I feel it is a fascinating journey! Countable few would have a life this entrancing! Mauktik: I am humbled, many thanks! Ghumakkar: If you were to mark the beginning of your sojourns, where would you point it in your life? Mauktik: As a kid growing up in India, I traveled a lot because my parents loved to travel. I continued it after moving to the United States for graduate school. The ‘traveling’ you are referring to started in 2005 or 2006 when I was still a grad student. My college friend and I decided to fly to San Diego, rent a car, and cover the entire Baja California peninsula of Mexico in 10 days. My friend, who is a compulsive planner, had prepared a detailed itinerary. Fortunately or unfortunately, he forgot the itinerary at home. Instead of a typical, well-planned vacation covering all the tourist spots, it ended up being a haphazard, whimsical trip to a country where we didn’t even understand the local language. In a nutshell, I started ‘traveling’ without even wanting to do it. Ghumakkar: Your trips are of a myriad flavors. But am sure there are a few treasured ones. Could we sample them too? Mauktik: There are million travel stories that I will treasure for the rest of my life. My friends keep saying that I am good grandfather material because of my stories. I can share two from my new book. It was the month of May 2012 and I was still in my first month of my epic adventure. I was in Beirut and it was my last day in Lebanon before flying to Jordan. Some locals had suggested checking out the Roman ruins in Baalbek, a short drive from Lebanon. It happens to be a Hezbollah stronghold and I was debating whether I should do that or just go north along the coast and spend the day on a quiet beach. When I met a couple of girls from my hostel at the breakfast table, I decided to skip all that and head to a Palestinian refugee camp in the heart of Beirut. It is called Burj-al-Barajneh and it is one of the earliest refugee camps set up in 1948. The two girls were planning to do some paint job and I said why not? I might end up painting a wall of some poor refugee’s new home. When you are traveling solo with no agenda, it gives you the freedom to explore these kinds of opportunities. When I went there and saw the sketch of what they wanted to paint on a public wall, I realized that I had made a big mistake. 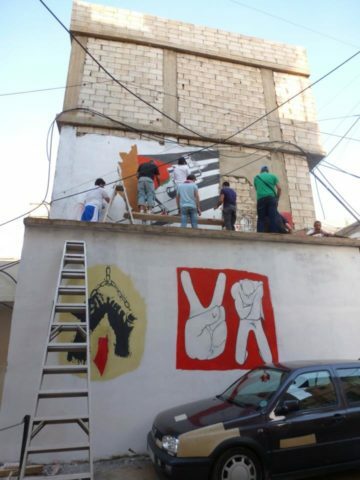 They were all planning to paint a map of undivided Palestine, a Palestinian flag, and three guns across it. I had no desire to promote more violence in a part of the world that has been plagued by violence for 3000-4000 years. The way the rest of the day unfolded was enough for a long essay, but my encounter with a 20-something Palestinian was memorable and heart-breaking. He was finishing up his degree in business administration, but with 60+% unemployment in the camp, he had virtually no hope of finding a job or starting a business. As a ‘refugee,’ he was not allowed to legally work outside the camp. When I asked him about his status, he said that his grandfather was the original refugee in 1948 and all of his descendants were deemed refugees as well. So, he does not qualify for a passport of any country and cannot step out of the country. It suddenly dawned on me that having a passport is an underrated privilege. Ghumakkar: That is some adventure during the last leg of a journey! I understand why you treasure it. Can’t wait to know what the second one is all about! Mauktik: The second memorable event happened a month or two after that. It was mid-to-late June in 2012. I had finished the Middle East leg and flown to Scandinavia to experience the midnight sun. If you cross the arctic circle around June 22nd, you can see the sun going around the horizon from 3-4am to 1-2am the next day. Even after sundown, it never really gets dark, which makes the whole experience quite disorienting. Your body clock goes out of whack. I landed in a small town in Norway called Tromso and I stayed there for 24 hours to experience that. With a cloudy sky and incessant rains, I didn’t see the sun even for a minute. But on the way to Tromso, my Oslo-Tromso flight suffered from a technical glitch and started plunging from cruising altitude. 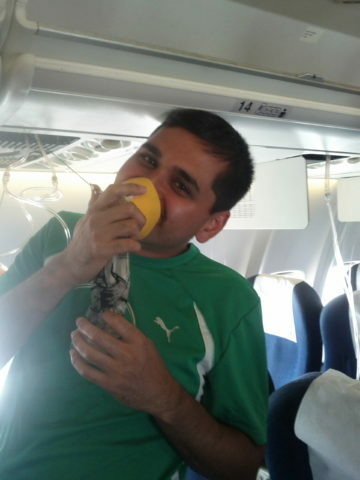 The oxygen masks came out and in spite of having flown thousands of miles, I failed to put on the mask properly. The pilot made a one-sentence announcement in Norwegian. I did not understand anything and all I could see was my plane going down like I had never seen before. We all survived, but those mind-numbing 5-10 minutes in a nosediving plane reminded me of how ephemeral life can be. Just like having a passport, life itself is a thoroughly underrated privilege. Ghumakkar: That was quite a journey so far! Amidst so much studying, traveling etc. tell us, how you stumbled upon writing? Was it a passion or did it all happen as unplanned as some of your trips? era, didn’t care much to own a camera. However, when I decided to fly to Cusco in Peru, rent a bike, and head south without a plan, I thought it might make sense to buy a camera and take a few pictures. Since I was all alone, I was trying to document the trip in some form. So, when I finished the 6-week trip, I came back with well over 400 pictures and didn’t know what to do with them. Sending them to my family and friends without context didn’t make sense because a lot of pictures were of places where something interesting happened or people who had interesting life stories. Plus, since I was traveling alone and didn’t speak Spanish, my interaction with people around me was limited and I ended up internalizing everything. So much so, that when I started writing about the trip, I could remember almost all the details of every day I had spent on the road. It is safe to say that I surprised myself when I finished the first draft with a lot of the vivid details. Even then, I had no desire to publish it. The rough draft was meant to be for my family and friends; something that would help them make sense of all those pictures. When I sent it to them, a good friend from grad school days, who is a published author, asked me to consider publishing it. For several reasons, Indians have not explored South America much. And since I traveled through the back roads of Peru, Chile and Argentina without even knowing the language, he felt that it was a unique story and people would like to read it. I was quite reluctant to publish it at first because I used to value my privacy a lot. Publishing a memoir and giving people access to your thoughts and feelings is not an easy decision because it can backfire in multiple ways. It’s a one way street. Once it’s out there, you can’t take it back. But I somehow convinced myself to publish it. So far, so good. Ghumakkar: You just finished authoring your second book “Packing Up Without Looking Back”. And, it is just published. Congratulations! How does it feel? Mauktik: I still can’t believe that I have written two books. The preface of my first book begins with ‘They say every life is a book.’ I am sure every person looks at his or her own life and feels like writing a book about it. Every life is a story and we humans love telling stories. That’s how we have transferred knowledge for generations. I grew up with a desire to write one book, but there was nothing much going on in my childhood. Then the first book happened in 2009 and, after going through the painful process of rewriting and editing it for almost an year, I thought I would never write another book. But when I decided to embark on a round-the-world trip for a year in 2012, thoughts of writing another book started swirling in my head. Looking back, I think I have realized that a trip is not over for me until I write about it. So, more than anything else, publishing this book brings a sense of closure to the yearlong trip. Ghumakkar: Take us through your new book and its conception. Mauktik: The first book was an accident. Second was somewhat planned. When I was preparing for the whirlwind trip, a colleague of mine warned me to write a blog because it would be impossible to remember all the details of a one-year trip. I had never fancied writing a blog, but I reluctantly decided to do it. It wasn’t easy since I was changing countries every 10-15 days. And there was so much to do and see in each country that I was constantly debating whether I should spend more time experiencing more things around me or writing about them. Long waits at airports, train stations and bus stops helped, as did the long haul flights and trains. At the end of the trip, I had the first draft for the second book ready. When the trip ended, though, I was out of a job and had blown off most of my savings. Making enough money to survive took precedence and the book project went to the backburner. That is when editor Devasmita’s prodding came in handy. She had followed my journey closely and wanted me to compile it into a book. It took four years to put it all together and I am glad it’s out now. Ghumakkar: The success of two books published must have already triggered the next plan. Would like to share it with us, if any? Mauktik: Haha. I have no idea. Extensive traveling has opened my mind to all kinds of possibilities in life. Hence the foray into film making. It’s just another medium of story-telling, right? My unexpected journey into film making and bumping into all kinds of colorful characters seems like an interesting premise for a book, but I am not sure about it yet. If I end up writing another one, I think it’ll be non-fiction again. I think I have to experience things to write about them. So, fiction will be tough. Let’s see where life takes me. Ghumakkar: I am sure life will take you a long way and to different altitudes of success, Mauktik. Good luck for all your endeavors in life and Congratulations once again for being such a distinct traveler! Mauktik: Thank you. It was great talking to you! Well then. That was our tete-a-tete with Mauktik. Quite an inspirational individual for us travelers, isnt it? Like they say, travel has two sisters – writing and photography. Together, the trio are bound to make a journey worth a million dollars! Mauktik’s journeys followed by his perseverance in writing and then filming (motion photography if you can call it that way!) have begun his epic journey in the world of travel and writing! While you sink deeper into the insight that was just opened up for you, I shall take leave from you..
With newer people to introduce to this world of Ghumakkars, I shall promise to be back soon! Wow, what a story. Every time, I felt that Mauktik seems to have done enough, another adventure and inspiration comes along. Mauktik, Welcome to Ghumakkar. So privileged to be reading this and more so, for publishing this at Ghumakkar. From your Che travel to round-the-world (including the 24 hour day drill at Norway) to your newest book, “Packing Up Without Looking Back”, and now to film-making, your life is been a inspiration. Like Forrest Gump. Wishing you luck and success with your book. When an Indian print arrives, do let us know. Archana, what a delightful piece. I almost felt like sitting along side you when your were interviewing Mauktik. Hope to read more such tales in future. In fact, Mauktik seems to have left no stone unturned in the path that a traveler can traverse.. Kudos Mauktik and good luck with all your future adventures! Thanks for covering the ongoing journey and my adventures in writing. It’s been a roller coaster ride that seems to get better as time goes on. Nice to be a part of the Ghumakkar community as well! You are such an inspirational bit for everyone. I read your story and I literally had tears in my eyes as I myself is a big traveller and I too like writing. I will surely try and read your books. And it seems as if you have left no country untravelled. please do keep sharing more of your stories and would be glad to hear from you next time. Thanks, Muskan, for your kind words. There is still a long list of un-travelled countries! The paperbacks will be available in India soon. Will post the link here. Happy reading. i read the piece,first time, at one go without really knowing where one,in Peru or middle east. Once I got the idea of the vastness of the canvas “mauktikk(How is it pronounced,Sir? )was using ,i re-read the whole thing again,mentally prepared to jump from south america to middle east.Great reading. Can one have a time frame of these travels around the world,;and the place where this interview took place.. Some how ,to me,the whole travelogue seems to unbelievable when i look at the picture of mauktikk) who seems to be just out of the school.. I salute you and your adventurous spirit. Thanks, Jatinder. It’s been quite a zig-zag journey so far. Glad that you enjoyed reading it. And yes, I am not as young as the photo suggests. :) Thanks for sharing the inspirational poem. By the way, the book about my round-the-world trip to 36 countries is available in India now. It’s available on pothi.com right now, but both the books will be available on Amazon.in, Flipkart and PayTM soon. Are these books from “pothi.com” or amazon. personally signed by you? Very interesting read. Mauktik, I got to know about you from a post on Devasmita’s timeline. Yours is an inspiring journey! You are probably one of the pioneers of the concept of a gap year among us Indians. There’s so much you have done already, and am glad you are already on the way to converting your book into a movie. You are prudent beyond your years for sure. I am full of admiration of your decision to follow your instincts and back out of the wall-painting plan. I can imagine how crazy it would be once you cross the Arctic circle in summers. I was in the north of UK a few years back and there was sunlight for almost 20 hours in a day. Sun would start rising barely 2 hours after it had set. Even birds would get confused at times. And then your adventure in an airplane that went for a nosedive several thousand feet up in the air. OMG! This is my worst fear ever, and the reason why I hate flights. 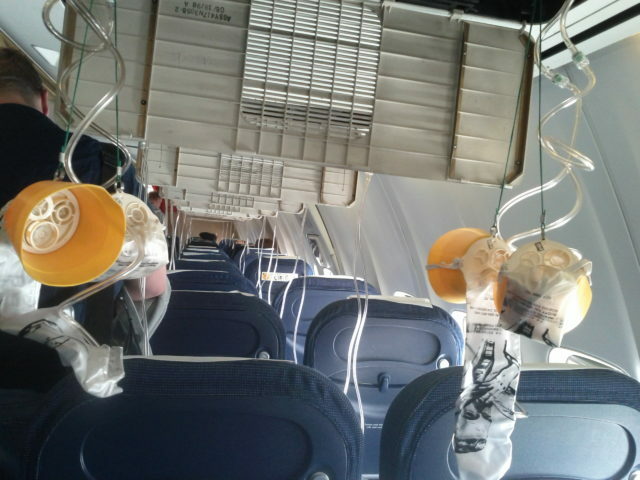 I can’t imagine what you and your fellow passengers would have gone through. And you are probably the only writer I know who isn’t plagued by procrastination. Great going! I will look for your books and buy copies. Would love to read what a fellow traveller and writer experienced in his travels. Archana and Nandan, this is a wonderful beginning. Would love to read more such content in future. Kudos. Great to connect with another traveler and writer. It’s Archana who has made the post interesting. And yes, the book wouldn’t have happened without Devasmita. I learned about the concept of a gap year in the US. Although it was a bit late in life, I decided to take a gap year. Don’t regret it. The book has more details about both the experiences. I will be posting the links to both the books when they are available in paperback in India. Should be live in 3-4 days. Quick update – Both the books are available in paperback in India through Pothi.com now. The titles should be live on other Indian sites soon. In Kerala, the colors we noticed in abundance were Green, Green, Green and occasional Blue. It is a keralite tradition not to build houses taller than the surrounding trees and hence wherever one lives the abundant greenery always surrounds him and even the pristine blue sky is visible only in glimpses.